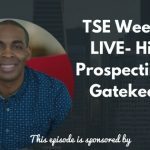 TSE 752: What Are the Best Methods for Finding Prospects? 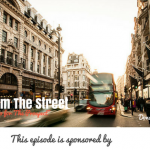 Home » TSE Podcast Post Page » TSE 752: What Are the Best Methods for Finding Prospects? Prospecting is a pretty challenging component of sales, but you can’t just do without it. So today, I’m sharing with you some ways in finding prospects effectively. You don’t have to do everything you find here. Just do the thing which you think matters most to you and your industry. Focus on the methods you think will work. 1. Test out 3-4 methods. You could use LinkedIn, the phone, a networking event, and then try to utilize a long term method such as a blog. This way, you’re generating content to attract your ideal customers to you. Other long-term methods include a podcast or a YouTube channel. And for long-term methods, you can’t just test them out for a month, but over a longer period of time. You have to recognize there are things you need to do long term. Others though have a short-term approach because they want to produce immediate results. An example of this is your email list you’ve built on LinkedIn. Or go to Google and search for a plumbers in your area. 3. Reach out to them. This depends on the medium you’re utilizing. For LinkedIn, you can probably use the LinkedIn Navigator. Try a Google Search or use Upwork to find people to develop leads for you and see the jobs they’ve done for different industries. They can actually build a contact list for you that you will be contacting later on. Find 3-4 events in your area and try to go to one of those events regularly. Make a goal of reaching out to four nice, solid people you can interact with. They could be your potential customers or their strategic partners. Or you could probably host a meetup yourself. 5. Create a blog content. Create content relevant to your ideal customers. Again this is a long-term strategy, so you need to get this one for about 6 months where you’re producing content regularly. If you need help with writing it, get someone from Upwork. What’s important is you’re creating content around your customers and the things they’re searching for. In your blog post, make sure to drive customers back to your website. Then leave opt-ins, which are places where they could leave their email addresses. Most of all, you need to consistently do it! 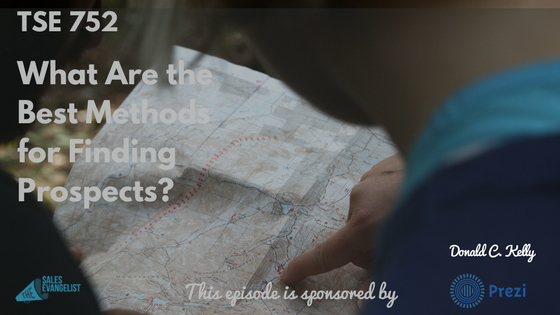 Find four methods or sources that you can use to test or find a new prospect. Do your research. Go over some of our previous episodes related to prospecting. Then see and test them out for a month (for short-term ones) and 6 months for the long-term approach. See what works best for you. Take advantage of the ones that produce the most for you and focus on them!